Keeping track of various transactions and values in sales is important in any business. Lost and unrecorded data may affect the operation of your company or establishment. It is best to keep a sales log in your business so that you are aware of the status of operations as well as any anomalies. A sales log template is a record kept by a company for monitoring and forecasting purposes. Various data and information regarding sales are kept for use in the future if ever the need arises. Record keepers can choose a log template from a variety of samples below. 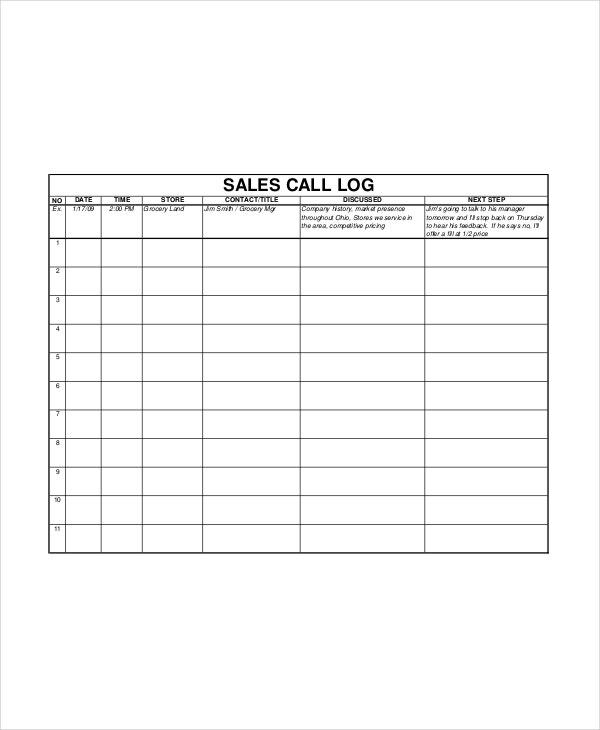 This log template is used to record calls which are involved in sales. Each call entry is completely detailed in the date and time, the store who called, the contact details, matters discussed and the appropriate action to address the concerns raised in the call. 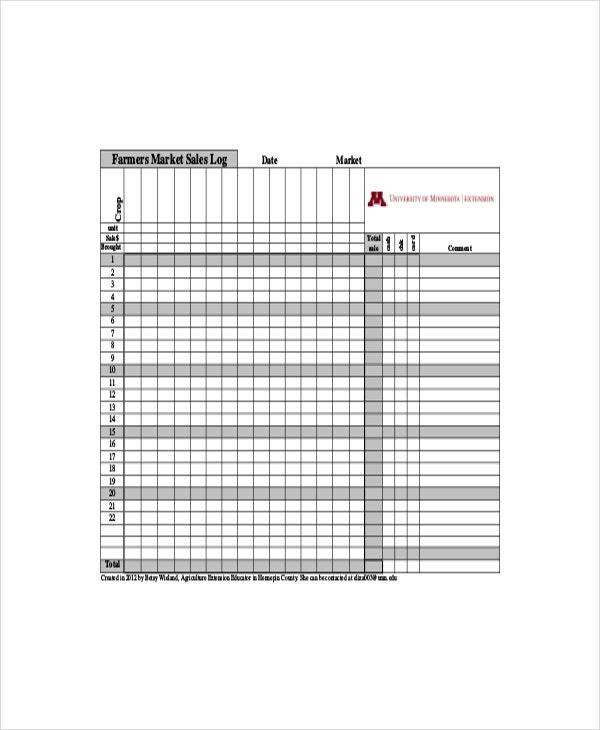 This template records a daily update of sales as well as the inventory. It has fields where you can track the initial and final stock levels of each product for the day and the sales for that particular item. This log is for recording the sales of individual crops. This record can be kept digitally or by hand. It keeps track of the quantity of each crop delivered and donated, and the actual sales generated from each. This template is used to record raffle and sales inventory. Record keepers can refer to the instructions and guidelines included in the template by properly filling out the necessary entries. This record is for the instances where sales refusal is strictly observed. Such instances include sales of commodities to minors and other sales practices inhibited by the law. This records the specific time and reasons for the refusal. 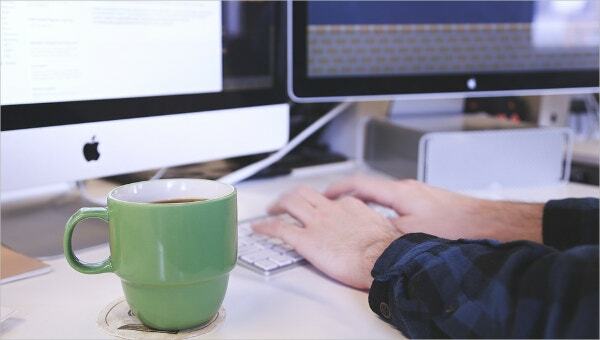 > How Should I use My Sales Log? These templates provide key guidelines on what to include in the specific sales log that is suitable for the record you want to keep regarding the business. Choose a template that best fits your business and try using it for your records. It is best if all the stated fields are filled out so that each entry has complete information. You can also see Action Log Templates. This also helps in keeping the record accurate and credible. 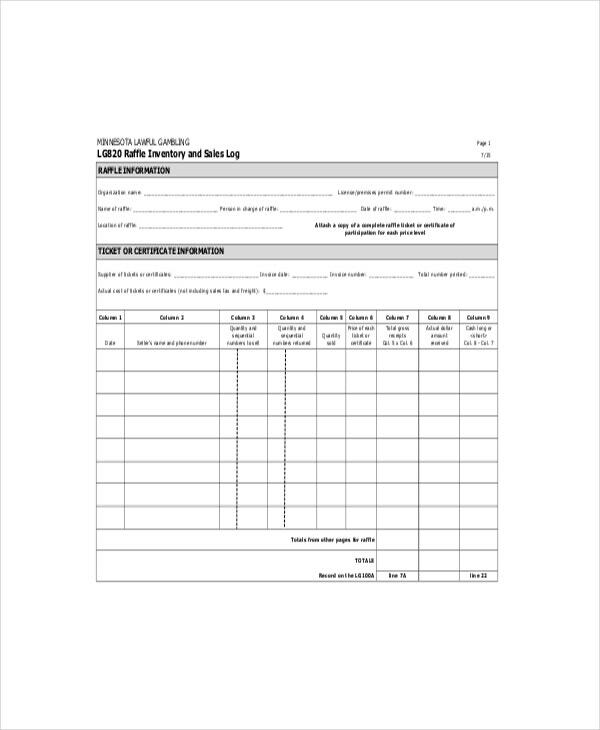 If there are certain elements that the recording process may need to add to the template, the company can make the necessary adjustment to the sales log format. This will improve the effectiveness of the sales log because it can continuously evolve and adjust to the business it is used in. > Who Should keep a Sales Log? 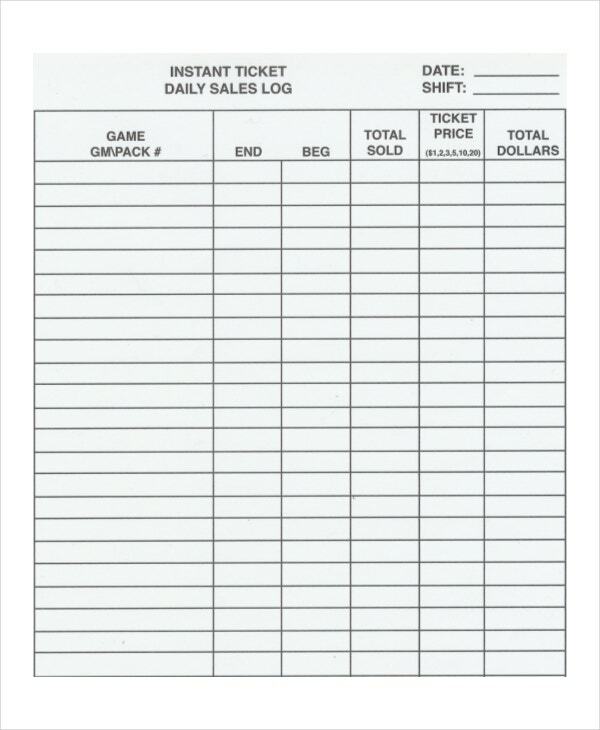 All types of businesses keep a sales Mileage Log Templates. The only difference is the amount and the quantity of details included in the records. This is directly proportional to the size of the company. Larger companies require more data for use in different management strategies while smaller businesses only need to keep track of details such as inventory and profits. Those company leaders who are looking at the future must first settle the past and the present. It is best to keep accurate records that represent past transactions that influence the present condition of the company. The future lies in the hands of those who learn from the past and use this learning in the present. 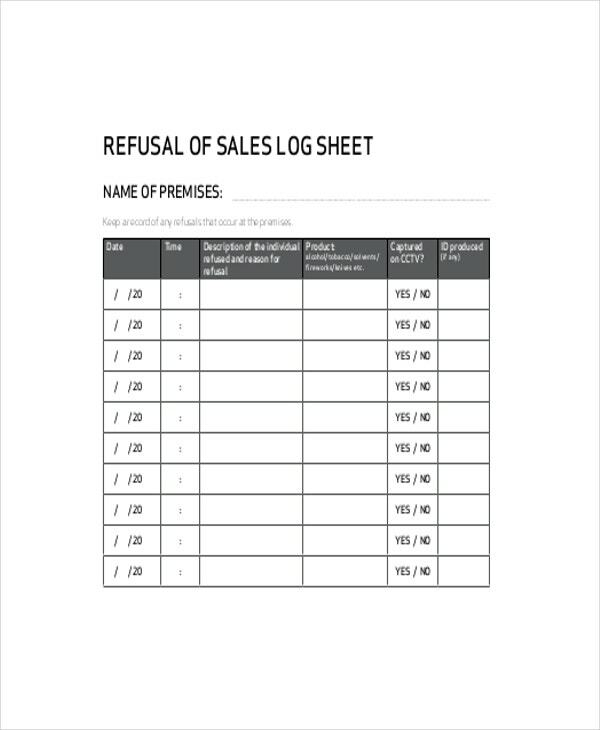 > What are the Benefits of using of Sales Logs? Sales log contain relevant information which is helpful in getting a clear and general overview of the status of revenue generated by sales. This information is also critical in various forecasting procedures which rely on sales history to generate and anticipate trends. Tedious and time-consuming as this may seem, keeping an accurate record of relevant events and numbers greatly affects future endeavours of the company. Definite numbers tell a lot about a business and being aware of the values that contribute to the status of your establishment enables you to act precisely and adjust accordingly to ensure its survival and propagation. You may also see Best Reading Log Templates. Keeping a relevant record of your sales is a good practice in a business. The accuracy of your sales history will greatly help in preparing for the future of the company. A customer log complements the use of the sales log and serves as an additional detail to the record.